Time to start thinking snow! Squaw and Alpine will be selling their Mountain Collective pass again this year. The pass includes 12 days of skiing at partner resorts that include, Alta, Snowbird, Snowmass, Aspen, Mammoth, Whistler, and Jackson Hole. 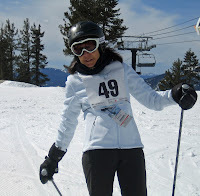 The pass includes two days of skiing at Squaw/Alpine as well. New for this year is the relationship with Protect Our Winters (POW). POW was started in 2007 by pro snowboarder Jeremy Jones. POW represents the winter sports community in the fight against climate change. Squaw Valley is listed as a “Foundation Partner ($5,000+)”, the lowest level partner listed on the POW website. The North Face, Converse, and Mertz Gilmore Foundation, are listed as “Platinum Partners ($30,000+)”. The Mountain Collective pass includes 50% off on additional days of skiing, up to 25% off lodging, and no blackout dates. Available August 13, 2013 at Liftopia for $379 adults and $239 for children 12 and under.